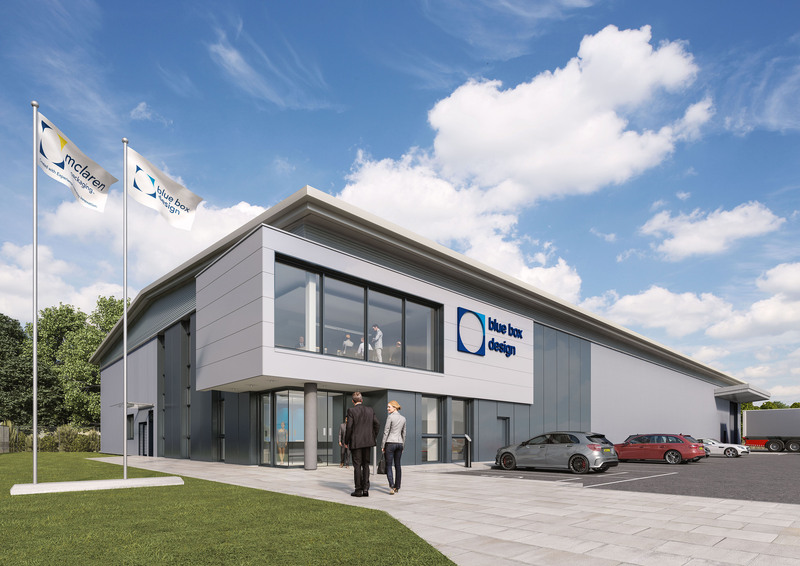 McLaren Packaging has invested £3 million in the construction of a new facility in Stirling for subsidiary Blue Box Design, the specialist designer and manufacturer of bespoke presentation boxes for the UK food, drink and luxury sectors. 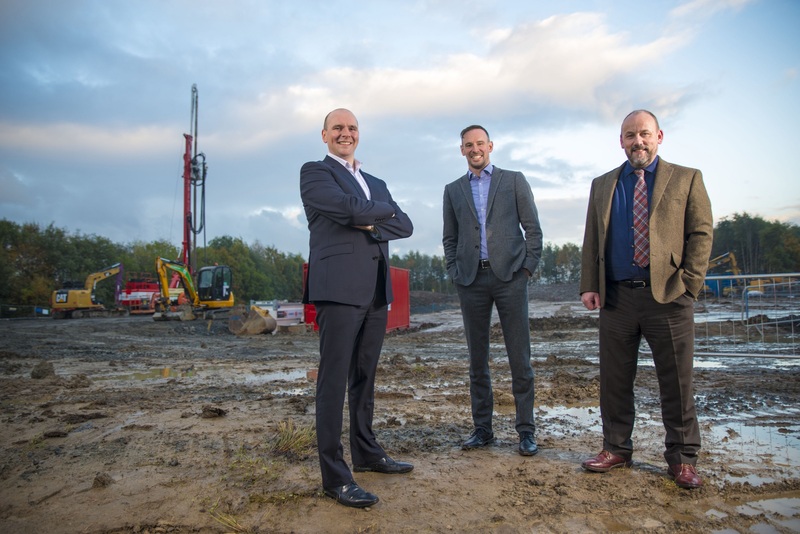 Works started earlier this month at the new 20,000 sq ft manufacturing, design and testing centre on a greenfield site at Broadleys Business Park and is scheduled for completion in April 2018. The investment, which has received Regional Selective Assistance through Scottish Enterprise, will create an additional 18 jobs over a four-year period, comprising a combination of shop floor operators and office-based staff. The site and building have been ‘future-proofed’ to enable the subsequent extension into two additional modules; doubling, then tripling the initial floorspace. Blue Box Design, which currently operates from 8,000 sq ft premises in Stirling, was acquired by McLaren Packaging in 2013 and has grown to employ 30 staff with annual revenues of £1.4m. Blue Box Design Managing Director Duncan Robertson, said: “This new facility will greatly improve ‘speed to market’ for our customers by reducing the packaging development cycle time from concept to delivery, thereby delivering production efficiencies and cost savings. “It will expand our production capacity significantly, enable us to retain highly skilled staff and create new skilled jobs in Central Scotland for young people through the creation of a design and new product development centre of excellence for the luxury packaging sector. Donald McLaren, Managing Director, McLaren Packaging, said: “The investment in Blue Box Design’s new-build unit demonstrates the importance of our Stirling operation and our long-term commitment to the future of luxury rigid boxes within our product portfolio. Our overall aim is to increase McLaren Packaging’s turnover to £20 million by 2020 and this facility will make a strong contribution to achieving that goal. Rhona Allison, director of company growth at Scottish Enterprise, said: “Demand for Scottish food, drink and other premium produce is on the increase as international consumers develop an appreciation of the quality and provenance of products backed by the Scottish brand. It is great to see the impact this is having on the Scottish supply chain. “McLaren Packaging is a good example of a company benefitting from the trend towards luxury and premium Scottish produce and it is fantastic to be able to support this ambitious company as it enters its next growth phase. The investment in the new facility follows an investment last year by McLaren Packaging of £350,000 in Blue Box Design’s current site to increase production with the installation of a semi-automatic box-wrapping machine, digital cutting machines, construction of a mezzanine floor to increase storage and an LED lighting system to ensure items can be fully inspected to preserve the highest quality standards. The new facility will meet the most stringent of design and build requirements and incorporate a number of environmentally friendly features, including PV solar, electric car charging points and high insulation levels.